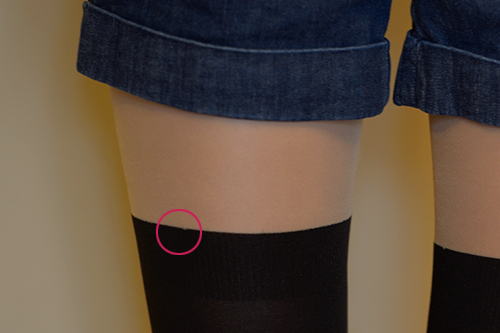 So one of the items I recently got in my Taobao haul (which I’ll make a post about later) was fake thigh high tights. What got me to buying them was that.. normal thigh high socks can look a bit unattractive since your skin can spill over the top of the sock even if you are skinny! It doesn’t do justice to most people’s figures of their legs. I wore them in my shoot in this post! Here’s a sample picture below. 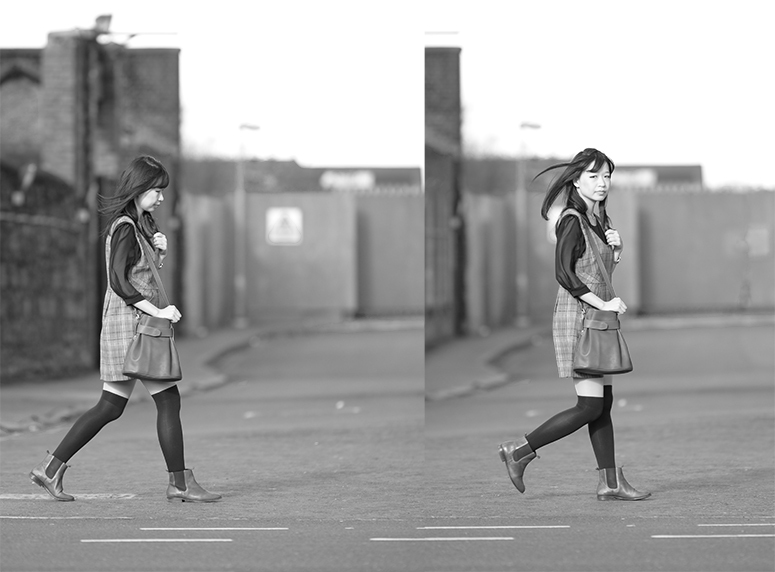 Here’s some more pictures of me wearing them in a not so flashy camera setting. I’m just going to boil straight down the pros and cons. Does what I asked for. No icky flab sticking out! Inexpensive (not including all the fees associated with Taobao like shipping, service fees, etc. )! They cost $2.67! Unlike real socks, the length of the “sock” is adjustable. For the shoot above, I’m wearing the socks more close to my knee to accommodate my dress. But in these indoor photos, they’re much higher since I’m wearing shorts. The top of the “sock” has actual stitching to make it look more real. The material is quite shiny… I don’t know if it’s just me, but I really don’t like shiny tights. It just looks awful to me in the sun as it’s just super distracting! It’s still doesn’t do justice to the shape of my legs. I look a bit plumper than usual I would say. Or.. I have thunder thighs and I haven’t been made aware of it..
As with a lot of things on Taobao, these will probably run a bit small for a number of people. I’ve read a lot of complaints that even when someone was 5’4″ – the tights still did not stretch vertically enough! I’m 5’2″ and 105lb for reference and there’s room for stretch still. The print isn’t 100% great. From the picture below, you can see there’s a slight gap at the top. Nothing earth shattering, but still a flaw to say the least. They were well worth the price and I think I still prefer them over socks much more just for the sheer comfort. I’m still at point in my life where I feel embarrassed to show my bare legs… so it works out for me. But they won’t be my favorite pair of tights since they definitely don’t make my legs look skinny and hot like the model the stock photo!